If the list of qualities above is important to you in your log or timber frame home then your search has led you to right place. It is my pleasure to present to you The Wooden House Company. Please browse our portfolio and you will see that our work embraces all these qualities and more. When you are ready to take the next step, bring your ideas and dreams to us where I will personally supervise every aspect of the design and crafting of the timber frame or log structure of your next extraordinary, one of a kind, home. President, Owner, Operator of The Wooden House Co., Ltd.
Read about our latest masterpiece - the Moosilauke Ravine Lodge in the Dartmouth Alumni Magazine. Kinsman Pond Shelter project on New Hampshire public television's Windows to the Wild. The complete episode is worth the 30 minutes of your time but if you are anxious the shelter segment with John begins near the 17 minute mark. 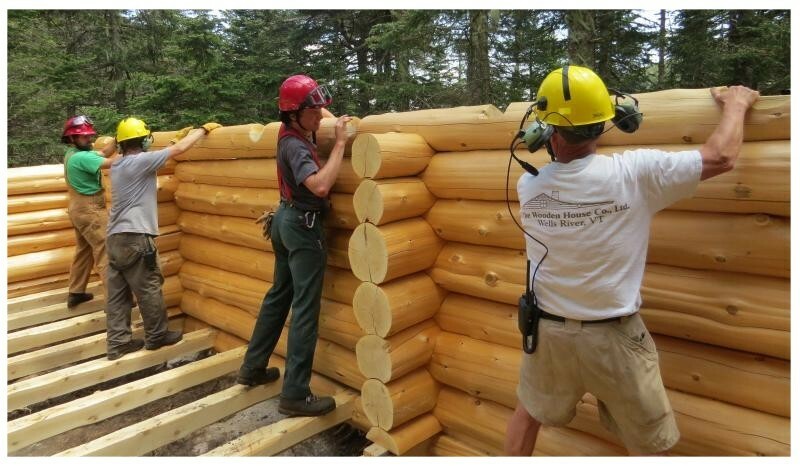 John working with a crew at the Museum of the White Mountains. Watch a timelapse of the frame raising and the Art of Building from the museum site. Visit the museum on Facebook. 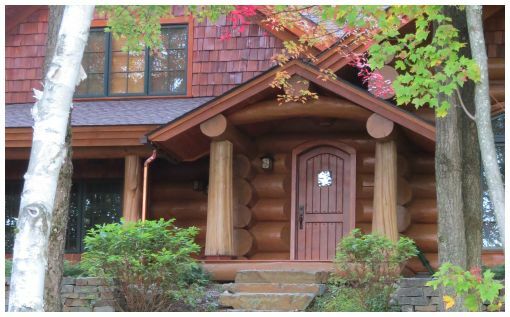 Distinctive log framed entries welcome you and your guests.